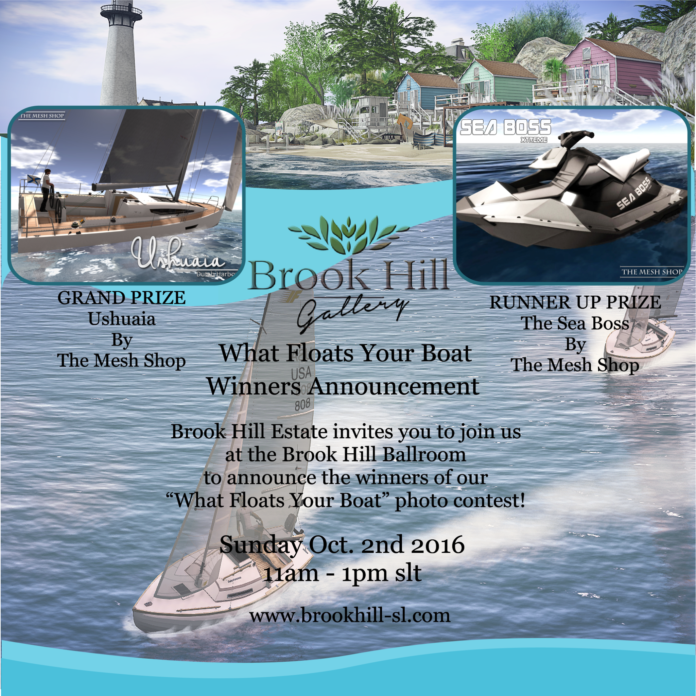 Home Brook Hill Events Winners Announcement Party “What Floats Your Boat” Photo Contest! Brook Hill Estate invites you to join us at the Brook Hill Ballroom to announce the winners of our “What Floats Your Boat” photo contest! 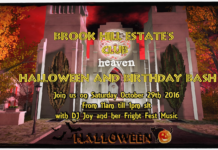 The Brook Hill Ballroom is located at the outskirts of Brook Hill Village at the seaside, a pavilion with a great view. 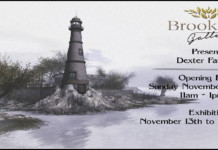 The event will take place on Sunday October 2nd 2016 from 11am to 1pm slt. Attire is casual, so come on out and show your love and support as we announce the winners of two great prices from The Mesh Shop!